Cambridge Stud’s Savabeel filly Probabeel produced a devastating finish to emphatically win the restricted Listed $1m Karaka Million 2YO (1200m) at Ellerslie tonight. The Brendan and Jo Lindsay-owned Savabeel youngster made light of an outside barrier draw, rounding up rivals with 2 ¾ lengths to spare under Opie Bosson at the business end of New Zealand’s richest 2YO feature. “She’s a very talented horse with real X factor,” said trainer Jamie Richards after the race. Excitingly, it is Probabeel’s three-year-old campaign that Richards keenly awaits. Probabeel demonstrated ability from day one, debuting for second before going on to win each of her three starts since. Bred and sold by Waikato Stud, Probabeel is a daughter of Savabeel and the Pins mare Far Fetched, and was selected by David Ellis at the 2018 Karaka Book One Yearling Sale for $380,000. 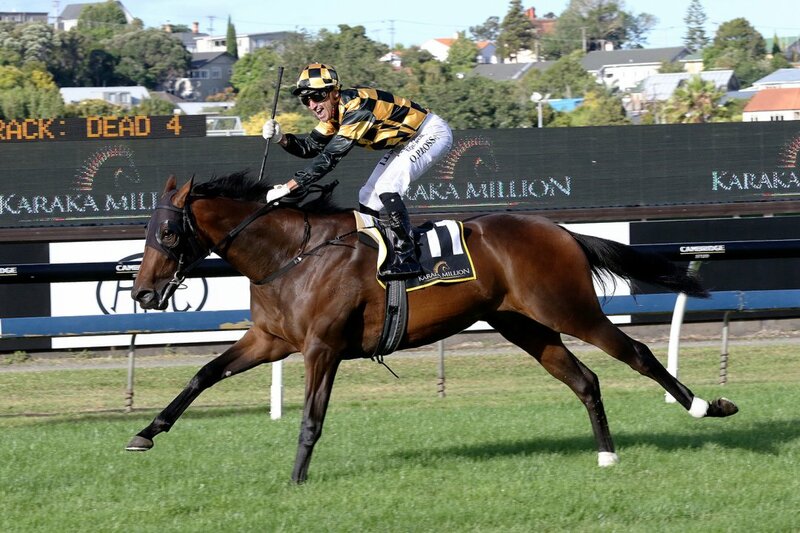 Remarkably this is the third consecutive Karaka Million winner to be selected by Te Akau’s David Ellis.